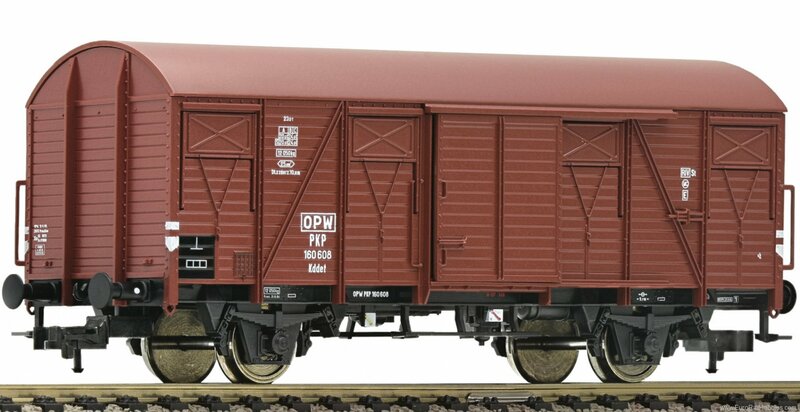 Boxcar type Kddet of the Polish PKP. Epoch III. The model has cargo hold equipment and 2 moveable sliding doors. In true to the original livery and lettering. Coupler pocket according to NEM 362 standards with close coupling mechanism.